Stock levels vary. Some colours may need to be ordered in, allow 4-6 weeks for delivery. Alternatively contact us on (08) 9279 8645 or via email to enquire what is currently in store. Please state your colour choice in the comments section of the cart – if no colour is chosen we will pick one for you. These gorgeous Australian wind chimes are the perfect addition for any gardener who aims to captivate and relax their visitors. Available in a variety of sizes, colours and themes, each set is tuned to a scale to create a wonderfully harmonious sound. 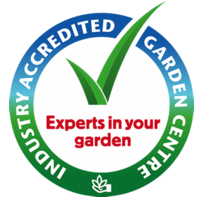 Each chime is covered by a 3 year guarantee. Hand made in Queensland. Made from Western Red Ceder or Australian hard woods and powder coated aluminium.